I don't always agree with her, but Michelle Malkin has been all over the NBC Dateline vs. NASCAR story. For those of you who don't know what I am talking about, you can find out more about this story here, here, and here. You can read a copy of a letter sent to NBC by the chairman of the Henry County Board of Supervisors (where Martinsville Speedway is located) here. 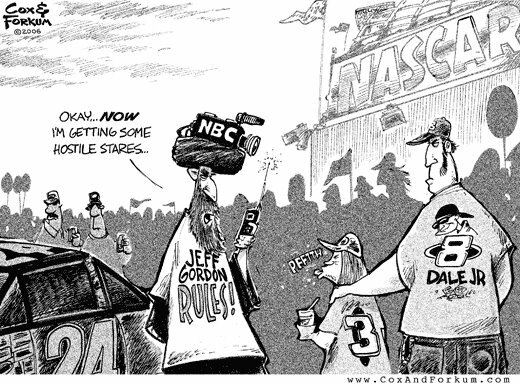 Cartoon courtesy of Cox and Forkum.